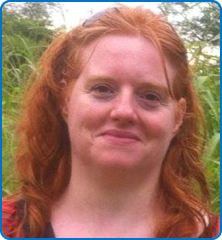 Dr Jo Crofts is a Consultant in Obstetrics and Gynaecology. She qualified in 2000 from the University of Nottingham. Jo has a special interest in caring for women who require complex care during childbirth, managing couples who suffer from recurrent miscarriage and leading research into making childbirth safer. Jo leads the Maternity Critical Care Unit at Southmead Hospital and is an internationally recognised expert on the management and teaching of childbirth emergencies. Jo is a founder member of the PROMPT Maternity Foundation, a registered Charity that helps to make childbirth safer through the dissemination of multi-professional obstetric emergency training. PROMPT training, which originated in Southmead Hospital in 2000, is now run in over 12 different countries – helping to make childbirth safer from Australia to Zimbabwe.